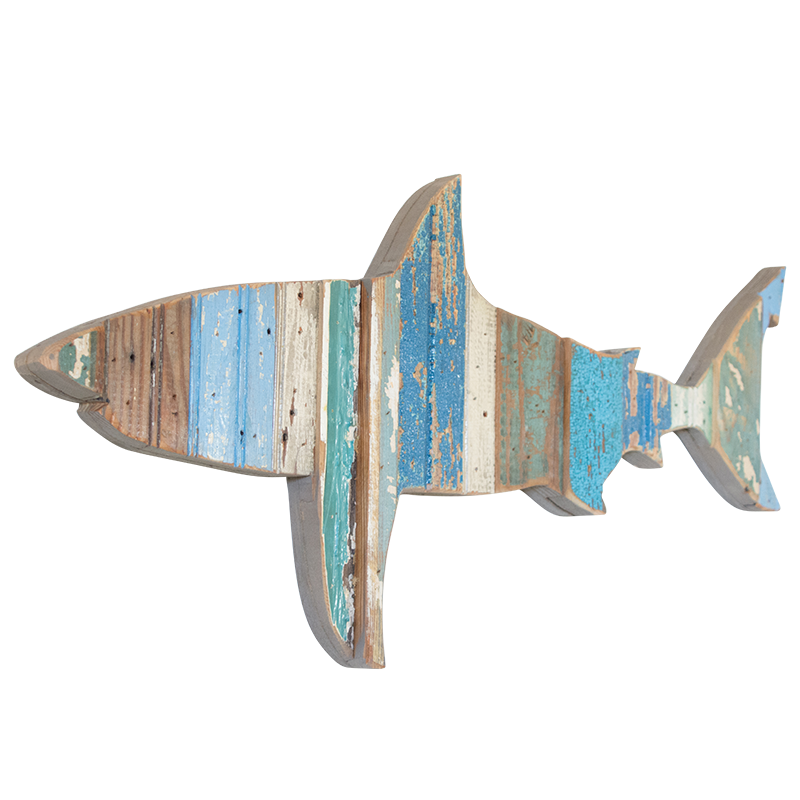 The Great White Shark wooden wall plaque is handmade in the USA. It's wonderfully rustic, with all of the natural wood grain and imperfections adding to the patina. Upcycled from re-purposed barnwood in assorted old barn colors. 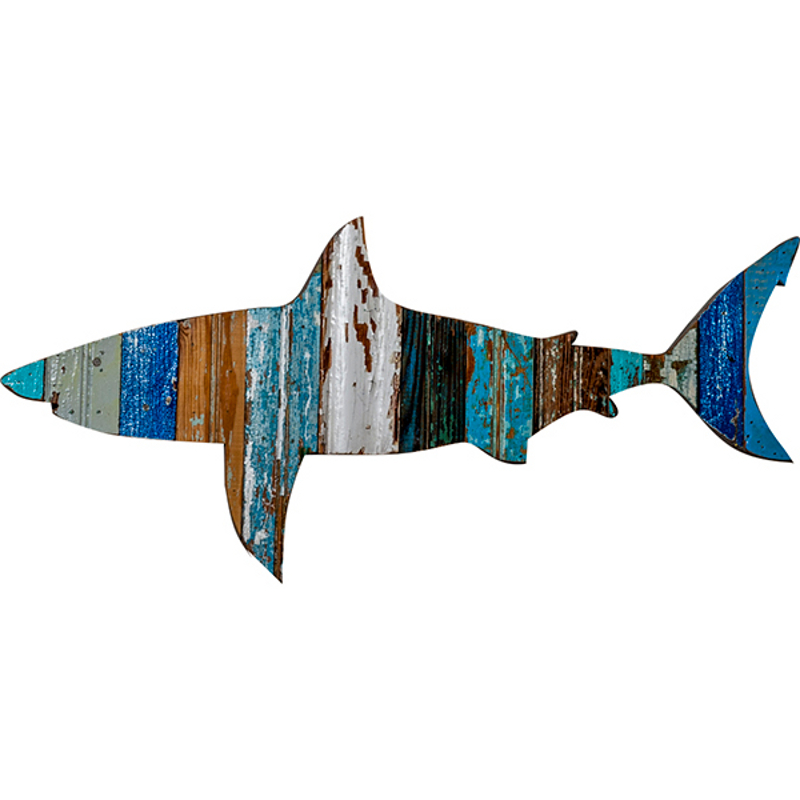 Seeking a totally unique nautical wall decor? Then you found an original artistic piece since no two the same. Plus, it's environmentally friendly! The wire hanger on the back is also recycled and makes hanging simple. 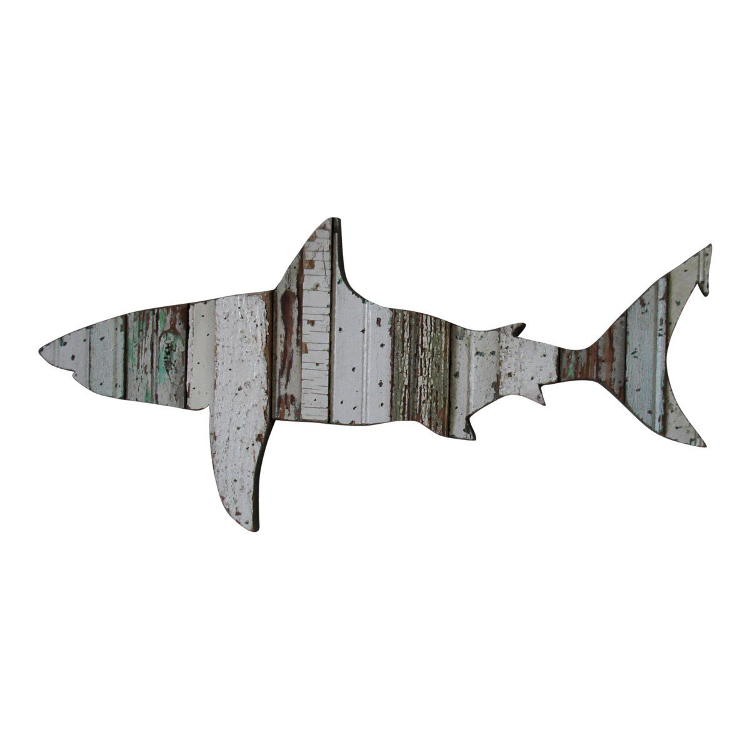 The reclaimed wall sign in the shape of a Great White Shark looks great in a living room, hallway and kids bedroom. Kids shark decor is trending right now, and especially this unique shark wall art. Appearance is distressed which gives them a salty, aged look. Small cracks, knots and imperfections are all part of the allure!